13.5% alc., $9.99, screwcap. · Medium reddish-purple hue in the glass. The aromas of spiced plum, black raspberry jam and graham really jump out of the glass. 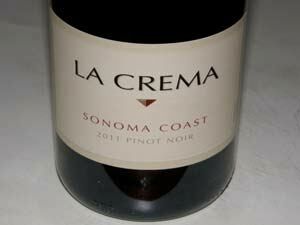 Tasty core of dark cherries and plum sauce with accents of herbs, oak, dark chocolate, spice and cherry hard candy. Moderately concentrated with balanced tannins and some fruit showing up for an encore on the finish. Good. 13.6% alc., $17. An E.&J. Gallo property producing a range of premium wines including Pinot Noir from Central Coast vineyards. Annual production is 125,000 cases. The winemaker is David Hopkins. · Moderately deep reddish-purple color in the glass. A lot going on in the nose but not particularly harmonious. Aromas of black cherries, black raspberries, sassafras, cardamom spice, vanilla, filter paper and cut flowers. Middleweight flavors of dark berries, currants and plums with an accent of oakdriven smoke and spice. Juicy and crisp, lacking mid palate punch and finish. Decent. (The Sta. Rita Hills bottling is significantly better). 14.1% alc., pH 3.54, TA 0.59, 5,700 cases, $20. This wine has just been introduced by long time Hess winemaker Dave Guffy who crafted the Cambria Julia’s Vineyard Pinot Noir years ago. Aged in used French oak barrels. · Moderately light ruby color in the glass. Reserved aromas of cherries, bramble and seasoned wood. Very little fruit shows up on the nose, even with extensive coaxing. Demurely fruited with flavors of cherries, blueberries and strawberries, finishing with a kiss of red cherry. Elegant with gossamer tannins. Nothing really stands out but the wine is true to its Pinot Noir origin. Decent. 13.9% alc., $19.99. Aged 10 months in French oak barrels. · Moderately light ruby red color in the glass. Aromas of cherries, espresso, dark chocolate and bramble. Middleweight core of tart red fruits including cherries, cranberries and pomegranates superseded by muscular tannins which hang around on the hi-strung finish. This wine is out of sorts with too much acidity and tannins to complement the delicate fruit. Not a very good wine in this vintage. Decent. 13.8% alc., pH 3.70, TA 0.55, >50,000 cases, $25. 100% destemmed, 5-day cold soak, fermentation in open top tanks with daily punch downs. Aged 6+ months in 98% French oak barrels (23% new). Wines were racked once out of barrel before blending. · Moderately light reddish-purple color in the glass. Nicely perfumed with aromas of earth-kissed dark red berries and cherries, dried rose petals and subtle oak, picking up intensity over time in the glass. Middleweight flavors of dark red cherries and cranberries with hint of cola, tar, spice and oak, offering caressing tannins, and finishing with a refreshing juiciness. A solid daily drinker. Surprisingly artisan in style considering the huge production. Good. 13.8% alc., $20.99. · Medium reddish-purple color in the glass. Very dull nose, with no fruit making a house call even after 45 minutes in the glass. Light weight flavors of cherries and strawberries with a hint of herbs backed by ripe tannins and complimentary acidity. Unchanged the following day from a previously opened and re-corked bottle. Awfully plain. Decent. 13.5% alc., $11.99, screwcap. · Moderately light reddish-purple color in the glass. 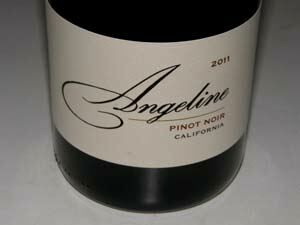 Aromas of dark cherries, strawberries, anise, pipe smoke, spice and mowed grass. Juicy and frisky, with very little tannin, offering bright flavors of cherries, strawberries, raspberries, earth and sweet smoky oak. Decent.